Collecto is one of my two “pet project” apps (With UrzaGatherer). I was a bit worried at the beginning because I wanted to get as close as possible to the look and feel of my native app. It turned out that it was not a real problem as the Web is clearly mature now. CSS animations and transitions: In order to bring the same feeling of smoothness that I had on my native app, I tried to use transitions and animations as much as I can. 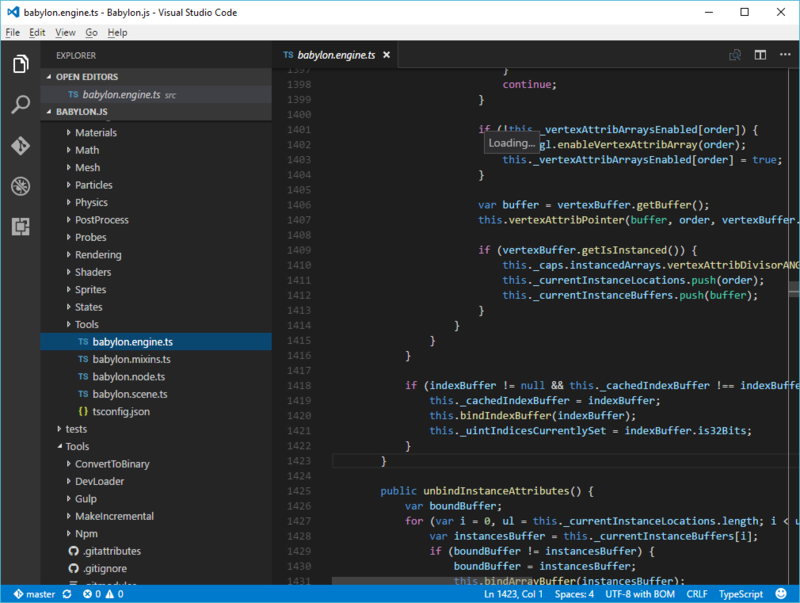 VSCode: What else could it be? Once ready, your PWA can be directly used as is by just sharing its URL. It will work on all mordern desktop and mobiles browsers (Do not forget to test on all browsers if you see what I mean). On Android devices you can even add them to your home screen where they will be indistinguishable from a native app. If you also want to enlist your app in various app stores (to get more visibility for instance), I would recommend to use www.pwabuilder.com which will prepare for you all the packages you need to submit an app on Windows Store, iOS App Store and Google Play Store. 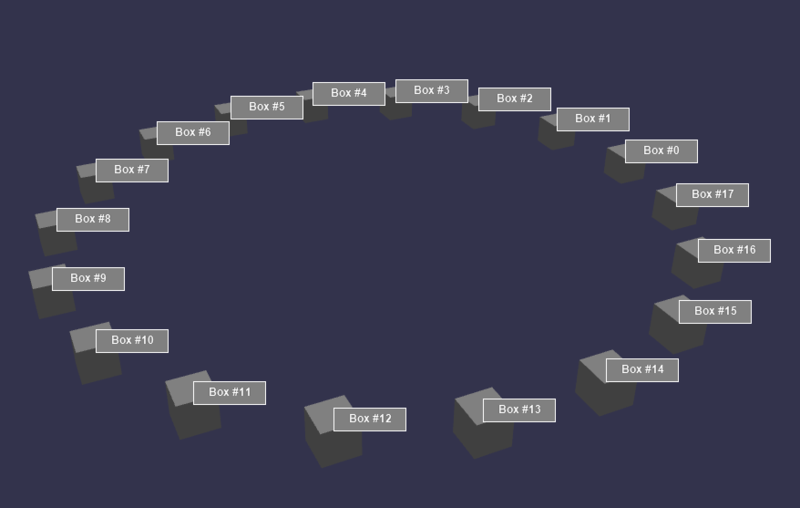 This is the first post of a series about what I’m working on for Babylon.js. 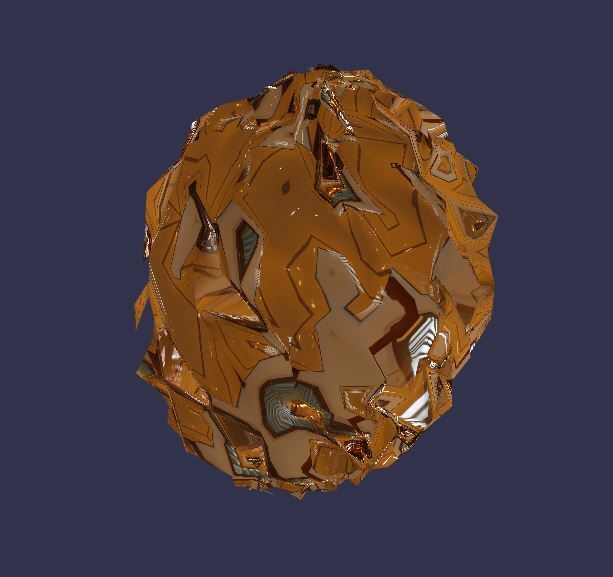 Morph targets are used to deform meshes. 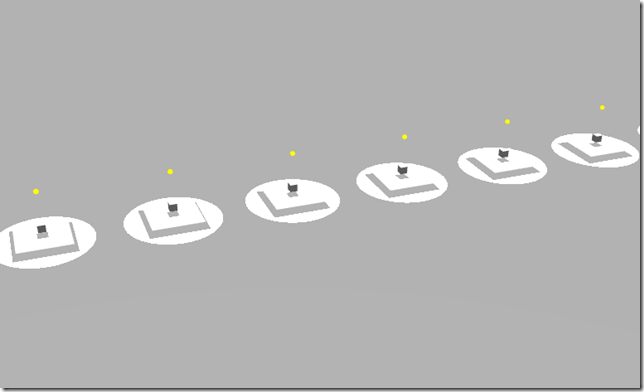 A morph target can be built from a mesh with the EXACT same amount of vertices as the original mesh. The same operation is applied to normal if they are present. 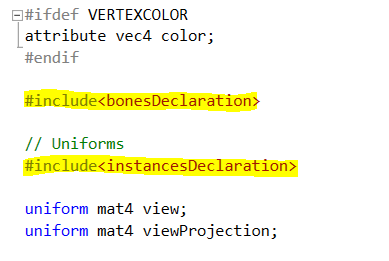 By updating the geometry we ensure that the vertex buffers will be captured within VAO (Vertex array objects) which were introduced recently in Babylon.js. 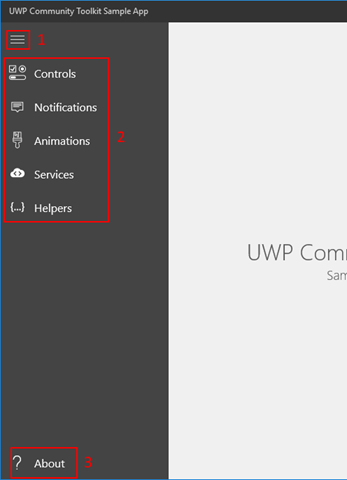 Since UWP Community Toolkit v1.1, we started encouraging developers to follow some simple guidances to make controls more accessible. As a developer, I did not consider accessibility like I should have. And most of the time it was more because I did not realize how simple it could be to at least provide some basic support. Add AutomationProperties.Name on all controls to define the controls purpose. Use Narrator Dev mode to test the screen reader experience. Let’s have a deeper look on each of these topics. This is an easy one to test: Unplug your mouse and try to use your control. If you can use it in an efficient way (i.e. without becoming mad) then you are good to go. Use IsTabStop=false to avoid moving the focus to unwanted area. So basically, you should be able to use Tab key to navigate between control’s area (in a logical way like top to down). Selecting a button or an action with Enter key must also be enabled by default. If you are using stock controls, you should be fine. But for some really custom controls, do not forget to add it by handling key up/down events. Custom colors can be a problem if the user wants to use high contrast theme. As they are statically defined, they will not update accordingly to the user needs. Another easy one. 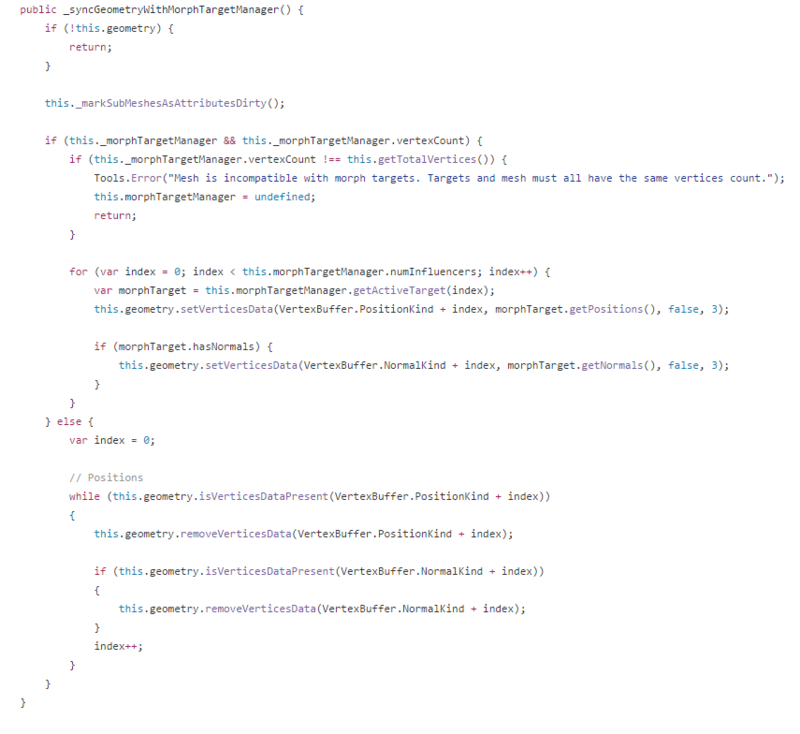 Just add an AutomationProperties.Name attribute to control which can have the focus. This will be used by the narrator to “read” your UI. You can start the narrator by pressing [WinKey+Enter]. Then you should ask yourself if the information is sufficient, meaningful and helps the user navigate and understand your control. Close your eyes, only use the keyboard and try to use your control. If it does not work, then you may have failed one of the previous steps . Feel free to take one control from the list and apply the recipe I presented here. Woot! What a version again! It seems to me that this is my state of mind for every version but, whaou! we put so much love again in this version. You can find the complete release notes here but I still would like to highlight a few features (Even if they all deserve some attention). Canvas2D (by Loic Baumann aka Nockawa) is a HUGE addition to babylon.js. 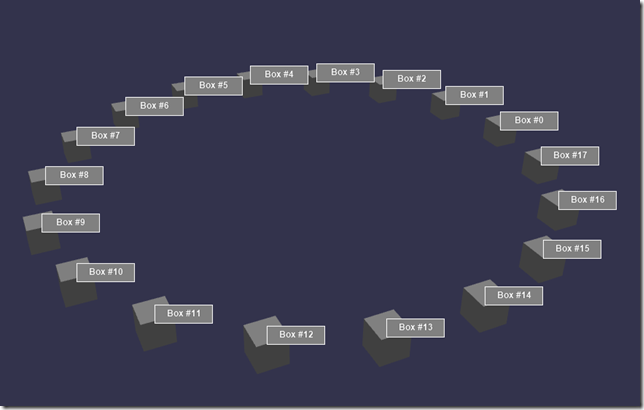 It is basically an entire 2D accelerated engine available out of the box. 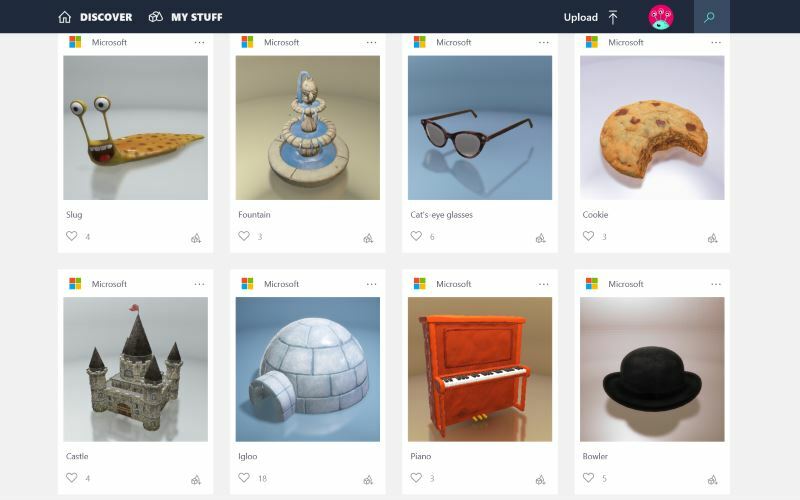 Indeed babylon.js is a full featured 3D engine, but the need to handle 2D content is often encountered when working on games or complex applications. 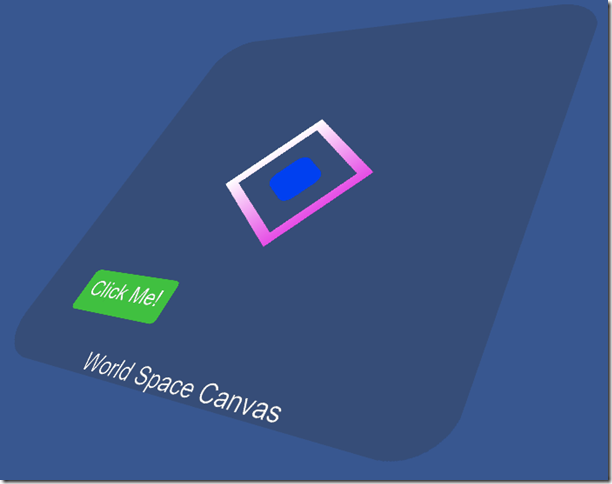 It is to provide an answer to this demand that we’ve developed the Canvas2D feature. 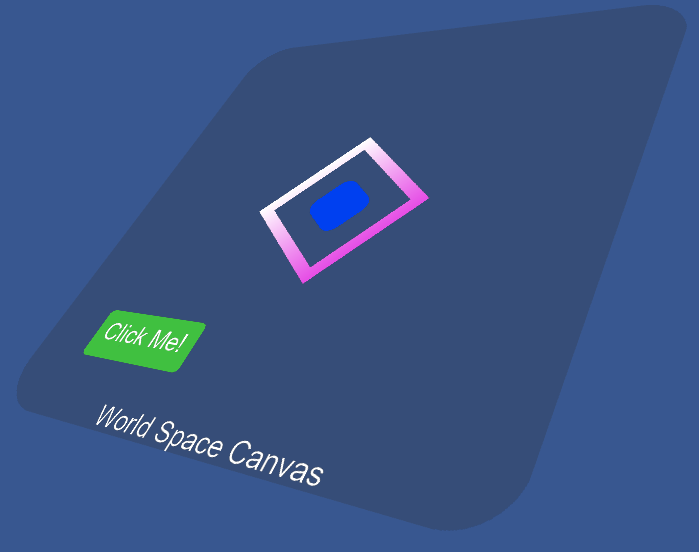 Canvas2D in a non HTML feature, 100% WebGL based, developed to serve the purpose of drawing, animating and interaction with 2D Content. 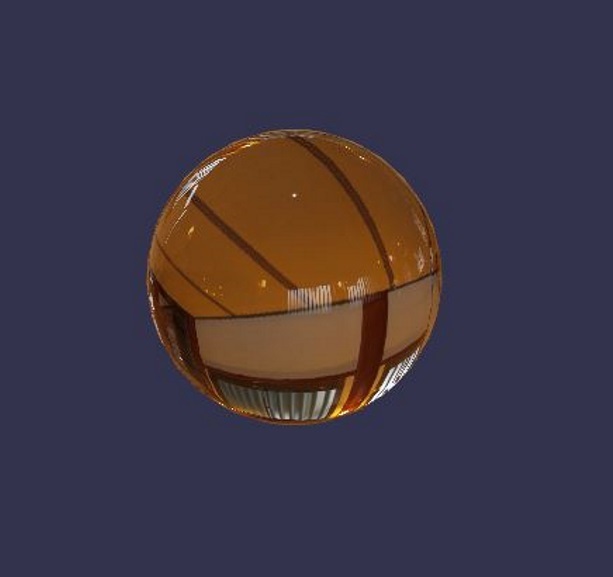 Standard material and physically based rendering material both support refraction channel. You can now use a RefractionTexture to automatically generate a live cubemap of the environment and use it as a source for the refraction channel. 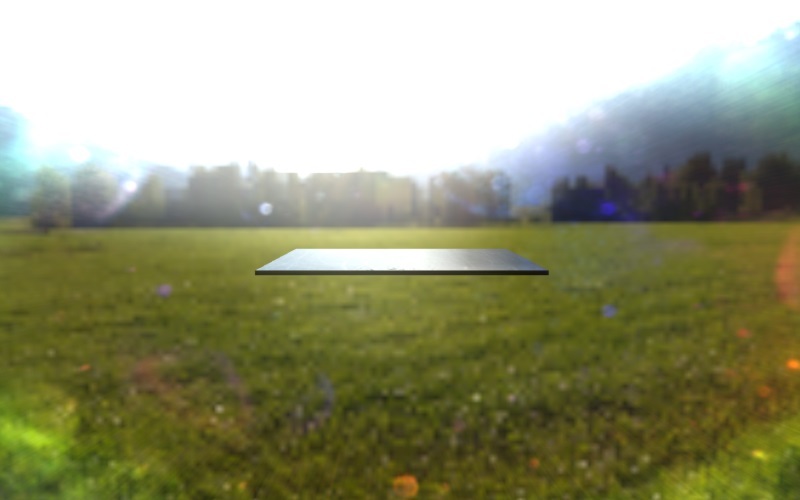 Materials will then apply optic deformation to simulate real-time refraction. 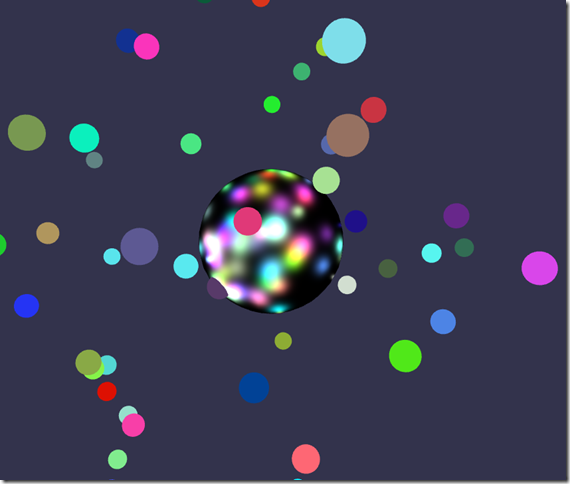 Babylon.js v2.3 was limited to 4 dynamic lights simultaneously. It was already a great number but with the raise of powerful GPUs, we decided to remove this constraint. Now Standard material and PBR material can have an unlimited number of dynamic lights. Well, not that unlimited as you will need to deal with GPU limitation but at least there is no more an arbitrary constraint. Obviously this also applies to dynamic shadows. Raanan Weber spent a big amount of time working on our physic engines plugins. 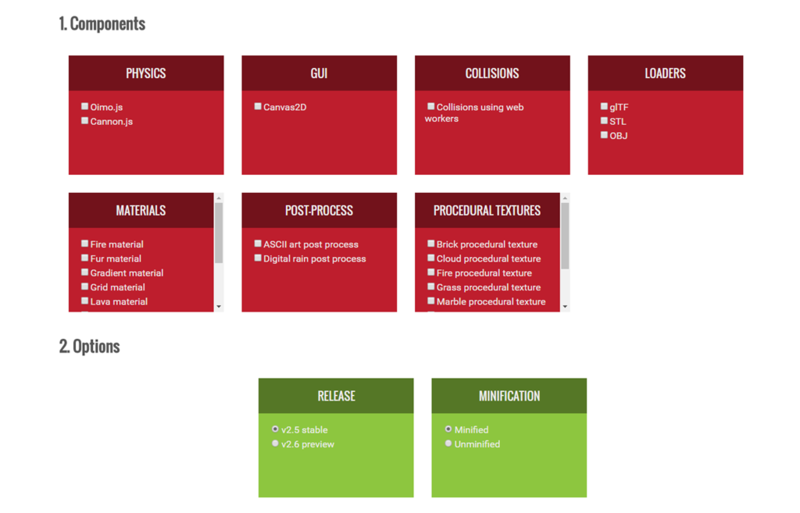 The goal was to make it more flexible and also to support more features from Oimo.js and Cannon.js. Loic (once again!) 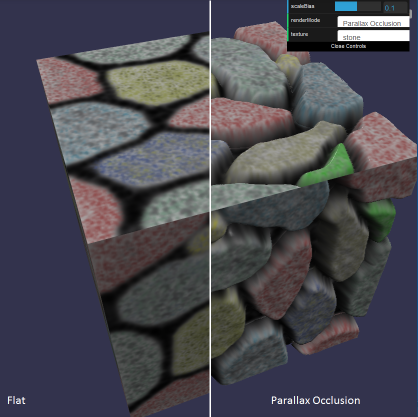 added support for parallax mapping and parallax occlusion mapping. 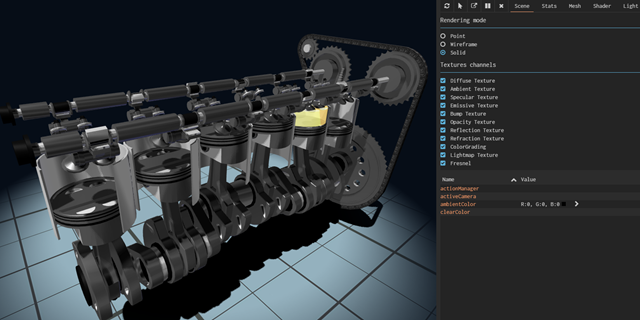 To improve (and simplify) shader conception, we added support to shader includes in babylon.js engine. Includes are shader pieces that can be reference by main shader programs (Exactly like a C/C++ include directive). This allows us to share code between shaders reducing drastically the required maintenance and the time spent writing shaders. We also introduced support to instanced includes. This kind of includes is really useful when you deal with portion of code that you need to repeat over and over (like when you unfold code for lights for instance). I’m not a big fan of long posts so I need to stop here even if I would have loved to detail all wonderful features we shaped with love. Do not hesitate to give us your feedback on our forum. It is certainly one of the friendliest you can find out there. 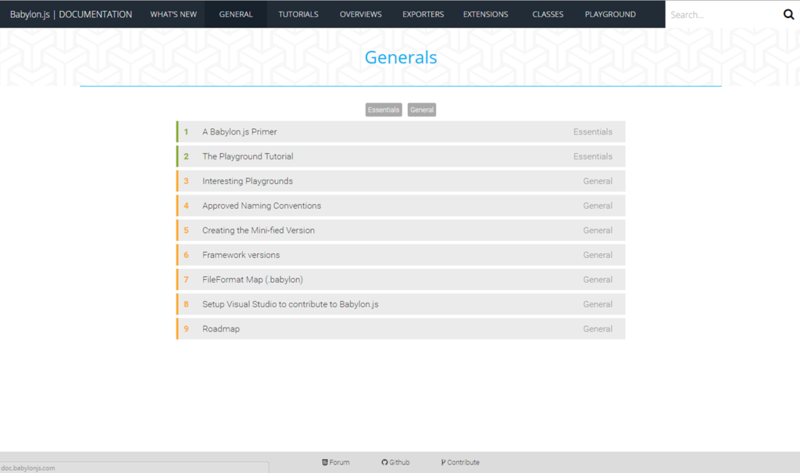 If you want to learn more about babylon.js, do not forget to try our playground. 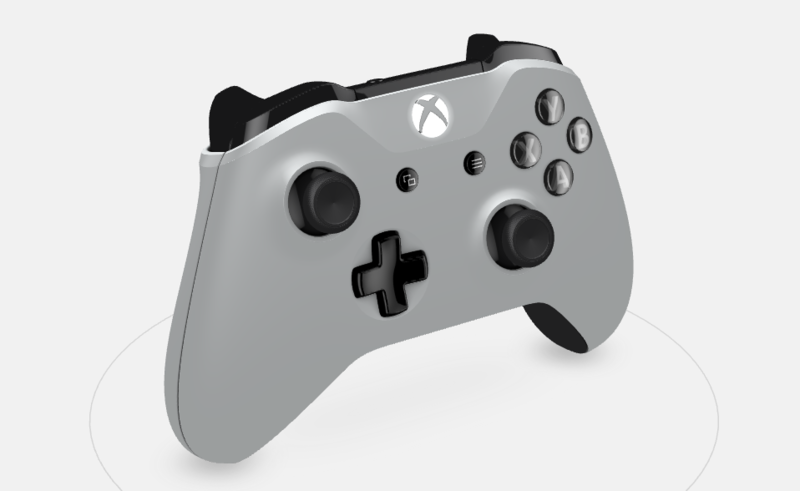 Oh and by the way, if you go to https://xboxdesignlab.xbox.com/en-US/customize, you will see a real life usage of Babylon.js! Early this week, I published a new version of UrzaGatherer which added support to navigation transitions. I like these transitions because they really smooth out the user experience. You feel more comfortable using the app just thanks to these subtle animations. So let me explain you how you can do the same. The overall idea is pretty simple. We will use a split view and its ability to embed a frame (which is the host of the navigation). Just before navigating, we will render the client area of the split view to a picture. This picture will be added on top of the frame while the frame is navigating. Then based on the effect you want to achieve, you can play with the picture. In my example, I slowly animate the picture opacity from 1 to 0 to make it disappear. To make it just a little bit more dynamic I also translate the frame itself to give user the impression that the frame is coming from the bottom. Pretty simple, right? Let’s now see how to implement it. We are using a RenderTargetBitmap to save the current frame texture. This image is then displayed by the picture control on top of the frame. That’s it! Now you are ready to create better looking applications! (Please find the Visual studio project here…). David (the other one) presented on his blog the demo we built with Michel Rousseau: The Sponza demo. This demo can really showcase what can be done on the web today regarding visual quality rendering (Even on low end devices). Among all the new features we added, the one I’m the most proud about is dynamic point light shadows (DPLS). During this article I’m going to first explain what points lights are and then how we can achieve having realtime shadows in 3d. 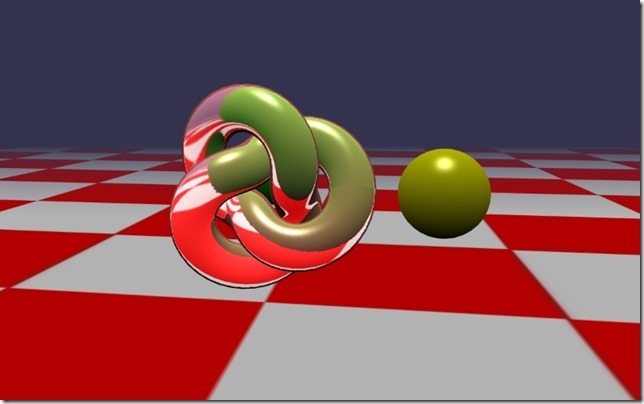 Lights in 3d are used to produce the color received by each pixel. This color is then used by materials to determine the final color of every pixel. They are various kind of lights and you can think about point light like a light defined by a single point. This point emits his energy in every direction (Like a really tiny sun). We can feel where the light is by looking at its impact on the ground. Lights are a key point in 3D because it is really hard to feel any volume without a light. As you can see lights help your brain feel the 3D. To get even more realism, you can add shadows to your scene. However shadows in 3D are hard to reproduce because they involve the concept of occlusion. Indeed, a shadow is just a place where the light is occluded. This implies the need to be able to check if the light can actually be reached or not for every pixel you want to render. By default, shadows are off because they required a lot of GPU power. Babylon.js makes this incredibly easy to do by allowing you to create a ShadowGenerator, define who casts shadows and who receives them, and rendering it. Under the hood, things get a little bit more complicated. To determine if a pixel is inside a shadow, we need a first pass where we will render the scene from the point of view of the light. This pass will generate the shadow map. This map will contain the distance between every pixel visible from the light and the light itself. During the main pass, we will use this shadow map to check if the distance of the current pixel and the light is greater than the one store inside the shadow map. This is done for every pixel. If this is the case, then the pixel is in the shadow. The problem with point lights is that they emit light in all directions. You cannot simply generate a texture from the point of view of the light because there is no single point of view (i.e. a position and a direction). This is where the point light shadows enter the game. 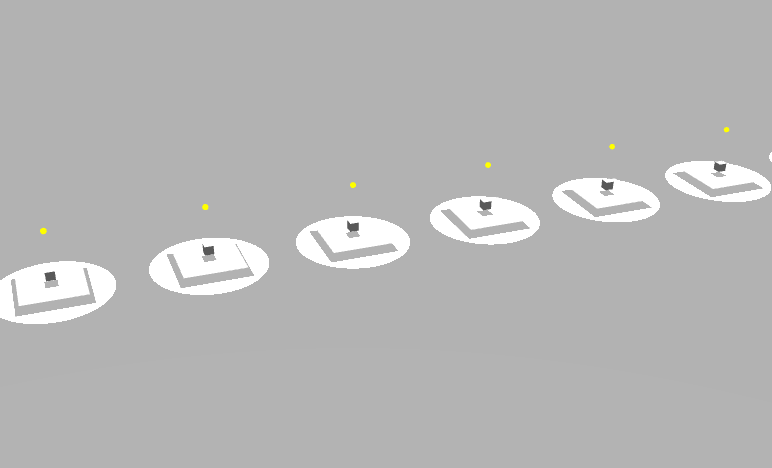 To fix this issue, we need to generate 6 textures: one for each direction (up, down, left, right, front and back). This way, the engine can always find the best texture to use depending on where the pixel to render is regarding the light. Now let’s get back to the demo to see how Michel built it. Because the scene is based on purely dynamic lighting, everything turns black(like in the real world!). Lights are displayed in yellow and you can click on the labels to turn them on and off (Omin001 and Omni002). Based on what we saw before, there are 2 cubemaps generated for this scene. 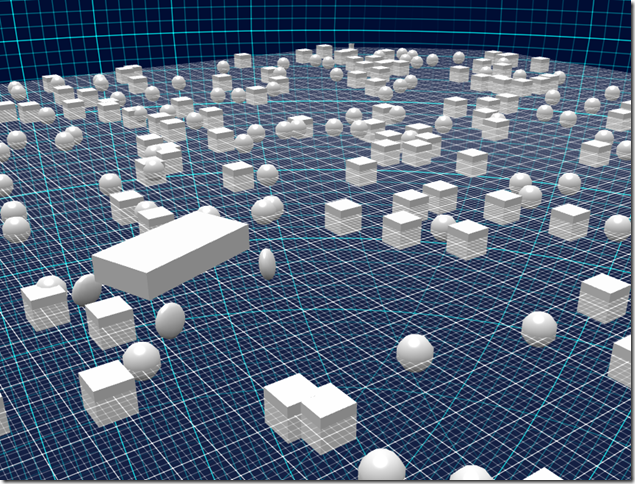 But because only Omni001 moves, we can generate cubemap for Omni002 at startup and save a lot of bandwidth this way. 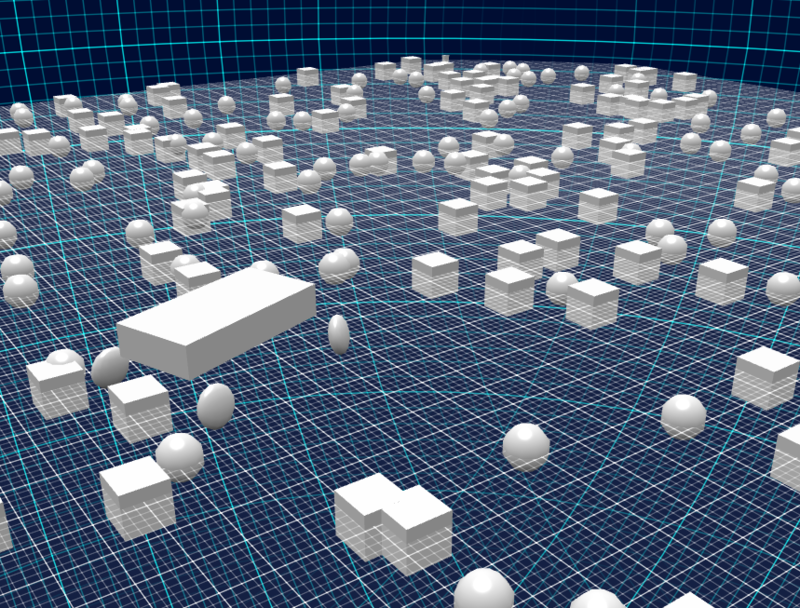 The current version of Babylon.js uses WebGL 1.0 so it requires 6 passes to generate a complete cubemap. 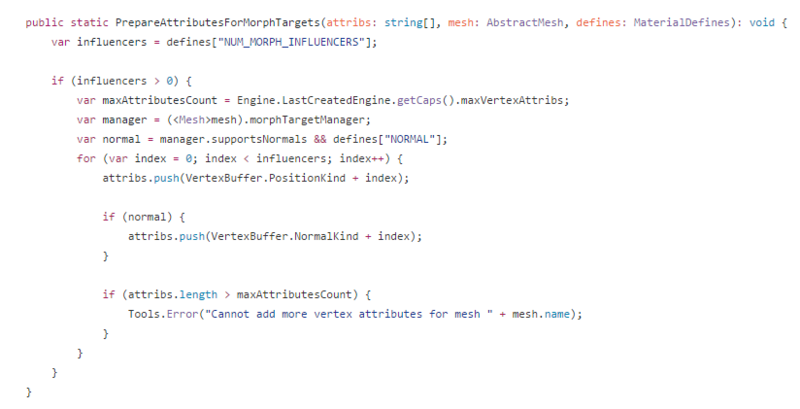 To increase rendering output, we plan to use an extension (which is part of WebGL 2.0) named “WEBGL_draw_buffers”. This extension will allow us to render all faces of a cubemap in one call improving a lot the overall performance. 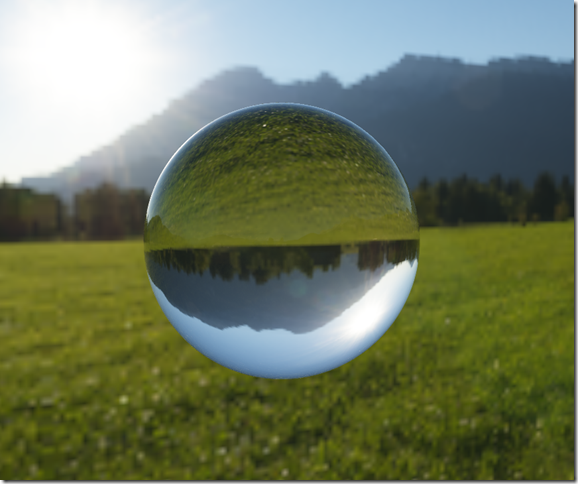 In the meantime, we are really happy with the current technique which works on all modern browsers and devices which support WebGL 1.0. 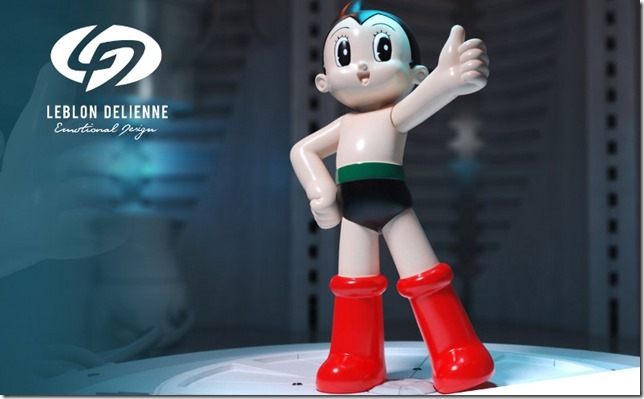 During this article we saw why lights and shadows are important in realtime 3D. 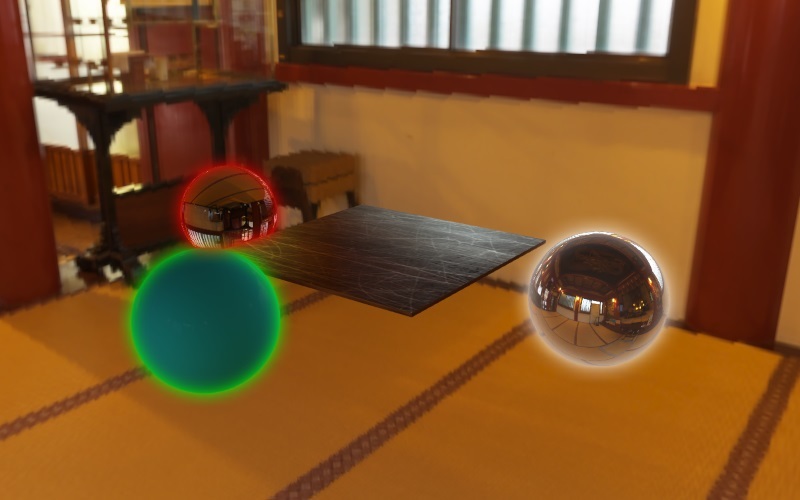 We also discovered how to add realtime shadows to point lights using cubemaps. To celebrate the recent publication of Vorlon.js 0.2.1. I’d like to talk about a feature we recently introduced to the Best Practices plugin: Accessibility Analysis. Before jumping into the main topic of this article, let me present what the Best Practices plugin does. This plugin is designed to provide guidance regarding web standards, accessibility, performance and the mobile web. We’re looking to provide more rules in order to help web developers create the best possible experience. Whenever possible, we’ll suggest a solution (like this example, where we’ve highlighted missing CSS rules). But the really big news here is we’ve completely rewritten the accessibility analysis. Providing a decent analysis for accessibility is a gigantic task and no one on the Vorlon.js team felt really confident about developing it. That’s why we decided to team up with Deque Systems in order to embed their accessibility engine (aXe) into our analysis. aXe provides you with a convenient explanation of the issue. It also pinpoints where the issue is located, and even references the Web Content Accessibility Guidelines 2.0 (WCAG). 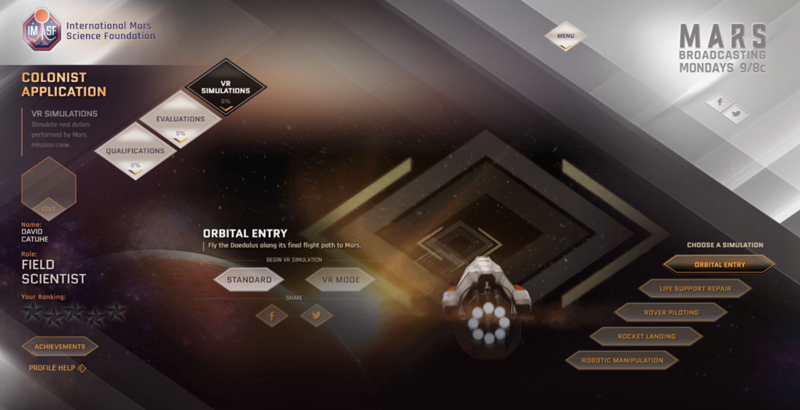 Want to learn more about Vorlon.js? 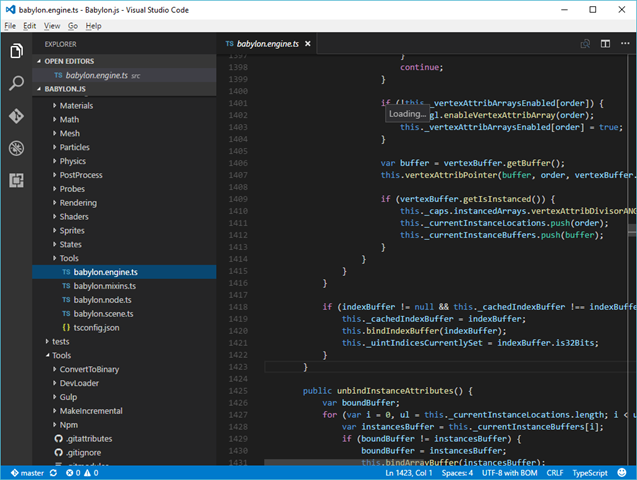 For more than two years, my friend David Rousset and I have led Babylon.js. We started the project after hearing that IE11 would support WebGL and we wanted to make it easier for people to build 3D scenes and games. For the following two years I spent all of my spare time making Babylon.js a simple and powerful 3D engine for web developers. During the first 2 months, it was like a dream: you develop and give life to all the ideas you have in mind. It is pure bliss. This phase is what I call the preliminaries. Like in a love affair, that is the best period, just before taking it into more serious territory, where complications can happen. At some point in time, you are ready – or you think you are. Shipping is important. No seriously. I still see a lot of projects that stay in development for ages. I know this is hard but this is necessary for you to ship your project. David and I ran into the first challenge quickly: coding the product is not enough; you also need to work on your communication. We wrote and agreed on the articles we wanted to publish about Babylon.js, the forums we wanted to post on, the events we wanted to attend in order to present it, etc. The feedback from the web development community was huge. One of the reasons was that we worked with a gifted designer (Michel Rousseau). He helped us to not just ship a framework, but also to develop tons of 3D scenes that showcase what people can achieve with our tool. That’s the second important tip: having a great framework is not enough. You have to provide a lot of examples and concentrate on having some really shiny ones to impress developers enough to take a closer look. Some users will start acting strangely, asking for more and more features and you need to be firm or bring up reasons why you aren’t supporting or don’t intend to support these features. Always remember that more features means more work and also more choice for implementers. What is a seen as a great idea for one user can be seen as overhead and annoying to others. Others will demand you to completely change the framework to address their needs regardless of your vision and what you want to achieve with it. This is the PUPPY SYNDROME! This is when your lovely puppy that you pet every day with love and dedication mutates into a monster you barely can control. This is the most complicated part of your job. You have to stick with your vision but you also have to bend it a little bit to accommodate the needs of your users. Use your common sense here! This phase can take quite a while and you need to be good in your communication to get allies in your user base. From these allies you can form a community that brings you to next level. Provide an easy way to learn by doing. This point was really key for us. 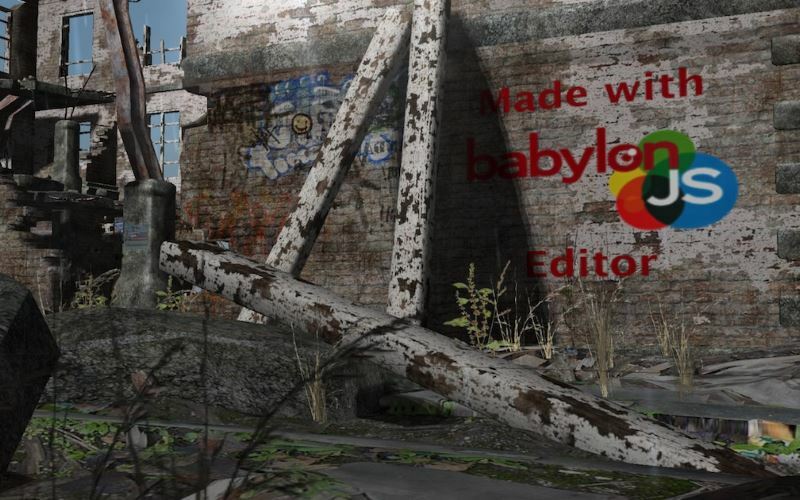 We created www.babylonjs-playground.com to enable web developers to test babylon.js without having to setup anything. Reducing all the friction is important. We are all lazy and if you can remove all the roadblocks then you will get more people trying your framework. And just like jsfiddle, it is also a way to share your code with others and even easily provide a bug repo. We tried to make it really convenient by adding intellisense which is a fantastic tool to learn while coding. It is all about being attentive to your user’s needs and questions. Users need to be able to trust your product and having good communication channels that are maintained gives them confidence in your product.. The faster you handle requests the more confident your users will become. This is the main building block of how you build the reputation of your framework. You can start with less features than other tools as long as you care about your users. If you manage to support your community, they will offer you a wonderful gift. Someone from the community will start answer question from others in a nice and eloquent form – in some cases even better than you could have done it. I think that when I saw this happening for the very first time, I cried. This is the final stage of your journey. Now users can commit code and do wonderful things without you. For instance, on the latest release of Babylon.js more than 40% of the new features are produced by the community. You are now the leader of the project who gives the direction, the goals and works on keeping everything coherent and aligned. I still feel the same pleasure when I receive pull requests from smart people all over the globe, working together to make a better 3D engine.